Spring is always a fantastic time to try a brand new, refreshing beer. 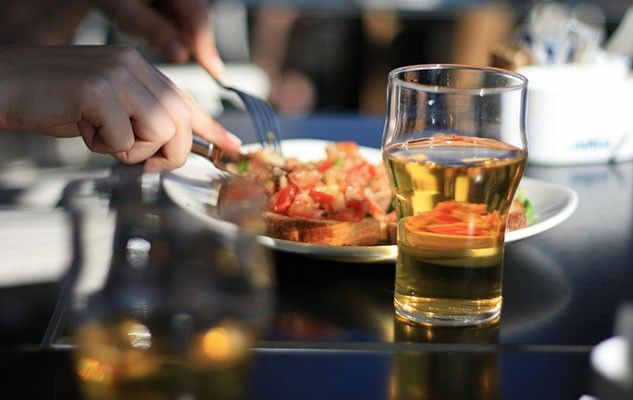 We’ve already talked about thebest foods to make on the terrace, but what about beer and food pairings? Beer is the go-to drink for many people and everybody has their preferences. So, we’ve chosen some of the most popular styles of beer and 7 recipes that will pair perfectly with them. Whether you’re a stout lover or stick to blondes, there’s sure to be something for you! Stouts are characterized by their dark, nearly black colour. They’re thick, heavy, and have notes of chocolate, coffee, and tart fruits like blackberries. A perfect pull is of the utmost important when enjoying a stout, since it isn’t actually carbonated, but infused with nitrogen. A bad pull can leave your beer with way too much foam on top, called a head, and ruin the texture of the beer. The nitrogen produces finer bubbles and a creamier texture, but is much more difficult to reproduce using a can or a bottle. Just like coffee, it goes great with similarly deep and earthy flavours, like dark chocolate, roasts, and stews. Brown ale is a deep coloured beer that is rich in nut and caramel notes. It’s very malty and very flavourful but can help to bring out umami and salty flavours in things like meats, legumes, and nuts. It’s practically made for the salty snacks you might find at a pub. Amber ales are lighter than brown ales, but still fairly dark. In Quebec, we absolutely love a good rousse, which is hardy and russet coloured. So, it’s no surprise that it goes great with foods like tourtière and pork shoulder. Alone, it’s fruity with a full body, which adds a hit of refreshing acid for heavier dishes. « Can Coffee and Alcohol prevent Alzheimer’s Disease?